What comes to mind when you think of Elgin? Old homes, the scenic lakefront trail, or maybe Judson University? 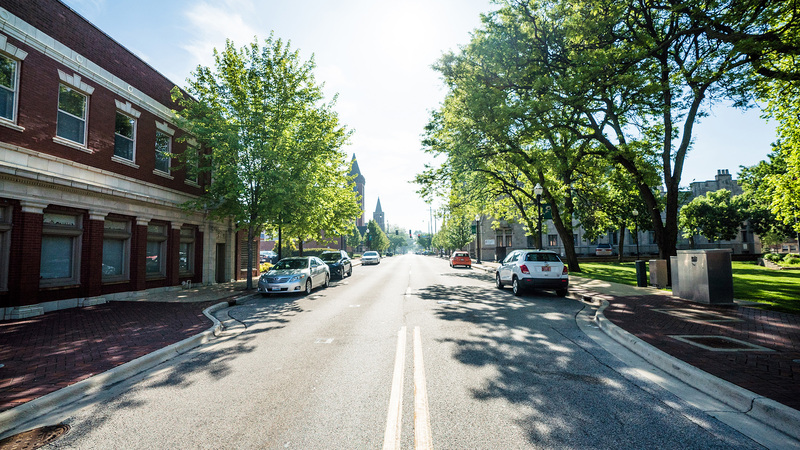 One of the original wealthy suburbs of Chicago, and still home to a thriving industrial and healthcare system, Elgin has seen significant transitions over the past 40 years. As of last year over 61% of children registered for school in the district are registered as under the poverty line, and the community faces many challenges. 25% do not speak English. The drop-out rate among middle school boys is alarmingly high. Human trafficking is a growing issue, yet almost no one outside of the police force is attempting to address it. And, though over 55% of the population is Latino and 25% monolingual, less than 15% of churches offer services in Spanish. Our vision for the community is to see more relational bridges built - connecting people and resources within our community so that no one is invisible and people are empowered to solve problems. We envision a people who’ve found the strength within themselves that unleashes them in our community to be free to pursue who they’ve been created to be, no longer trapped and pinned by the oppressive systems around them. In Elgin, our team has committed to making 2019, the Year of Learning. Our goal is to have 1000 conversations with people who work, live, or volunteer in Elgin, asking them two questions, 1) "What do you think the top five issues are in Elgin and which one would you solve first?" and 2) "What resources do you bring to the table that you would be willing to contribute to solving any of those issues?" The goal is to truly understand what people want to see changed, and to become a resource to local politicians, businesses, and churches to be able to inform them what different portions of the population sense as their greatest felt needs. At the end of this study, we will know what the elderly think, what the churches think, what the Latino population thinks, what business owners think, etc. Then, our plan is to assemble our organizational framework based on our new found list of available resources. If people offer enough of one resource that could "knock out" one of the items on our list, we will start there! Our hope is to build as much buy-in through this study as possible. Through this project, we will bring people together to help the oppressed, making sure no one is invisible, and all people have access to food, freedom, and forgiveness!